A prize machine where the player controls the action with a joystick and button control panel. During each game the player has the opportunity to enjoy a bonus game. An important feature of this machine is the Laser Point which provides skilled players a better chance to win a prize. 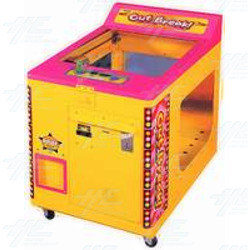 An important feature of this machine is the Laser Point which provides skilled players a better chance to win a prize.